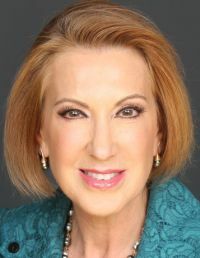 WASHINGTON (CNS) — In a public address in Washington Jan. 20, Carly Fiorina, former business executive and candidate for U.S. Senate in 2010, spoke out about issues relating to the sanctity, science and support of human life. In her speech, Fiorina discussed her time spent mentoring and helping a young boy with special needs named Kenneth, who was a constant source of “joy, triumph and grace,” as well as her mother-in-law’s difficult decision to give birth to her son Frank, whom Fiorina married in 1985. “And thanks to that he was the joy of her life and for 30 years has been the rock of mine,” she said. Fiorina went on to discuss not only the scientific aspects of life, but also its intrinsic worth and value. “Who are we to judge which life is better than another?” she asked. She did not address the vote scheduled in the U.S. House for Jan. 22 on the Pain-Capable Unborn Child Protection Act — which would prohibit abortion after 20 weeks — when an unborn baby can feel pain — unless the life of the mother is in danger. But Fiorina went on to discuss other legislation related to abortion. During the second week of January, New York lawmakers finally passed the Women’s Equality Act but without an abortion expansion, which the New York State Right to Life organization hailed as a victory. In recalling her life and political career in the state of California, where in 2010 as the Republican nominee for the U.S. Senate she lost to Democratic Sen. Barbara Boxer, Fiorina said she is reminded of “how many lives and livelihoods were ruined in the interest of protecting the lives of fish, frogs and flies,” while the same people advocating for those laws would agree with the view of the unborn espoused by Boxer, a longtime advocate of keeping abortion legal. “Like Barbara Boxer famously said, ‘A fetus isn’t a person until it leaves the hospital,'” Fiorina remarked. She was referring to arguments Boxer made in arguing against the Partial-Birth Abortion Ban Act, which Congress passed in 2003.